Situation programmable transmitter, waterproof receiver, waterproof beeper. One mile range, 7 levels continuous and momentary stimulation, vibration and 9 tone options — high volume, double high, high falling to low beep, double high to low, low volume hawk, high hawk, bob white quail, triple beep, low beep. Expands to 3 dogs. Rechargeable NiMH batteries. 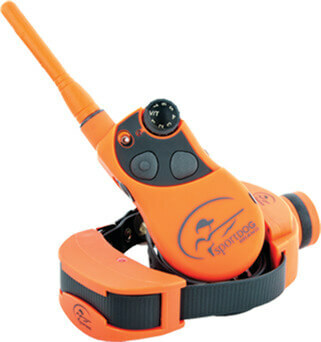 Free shipping (UPS Ground) and an Ugly Dog hat with all SportDog training collar systems.